Penny Lane Cafe Winter Gala this Saturday night! 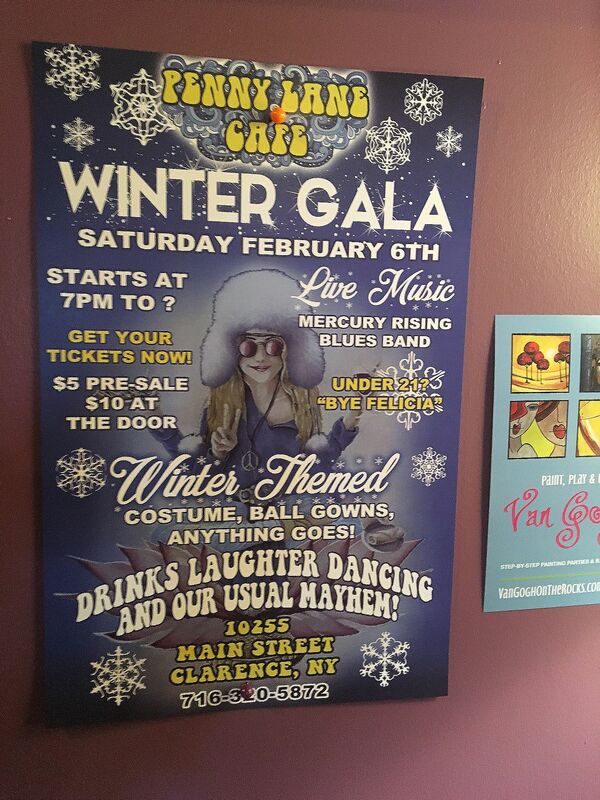 This Saturday night, February 6th there will be a “Winter Gala” at Penny Lane Cafe (10255 Main Street). Of course, it will be an affair that only the Anne, Angel and the crew can pull off. It’s sure to be fun, wacky and a certain cure for the mid-winter blues. The festivities begin at 7:00 p.m. 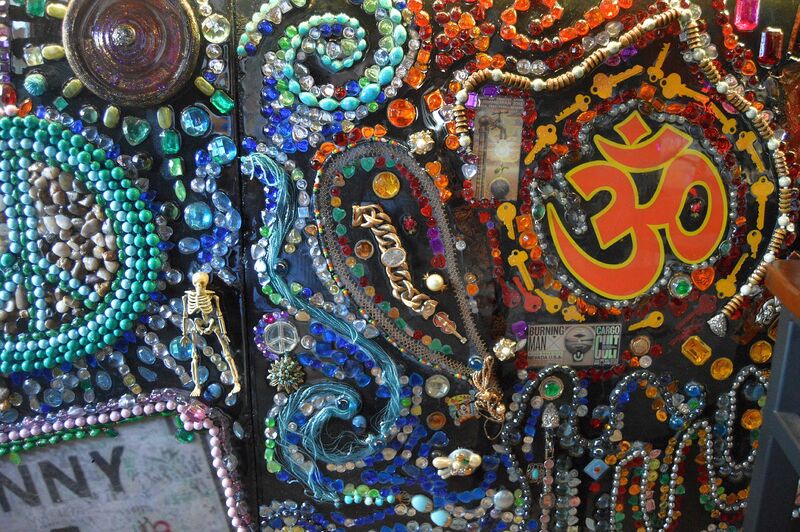 This 21 and over event will feature live music from the Mercury Rising Blues Band. As with any gala, you may want to wear a ball gown! If ladies come dressed in a ball gown, they’ll receive $1 glasses of champagne…if a guy wears a gown, he’ll get $1 PBR’s. Who knows what else will happen? It’s that type of silliness that will ensue Saturday night. Tickets are $5 pre-sale at the cafe, or $10 at the door. The cafe has been hosting special events such as this every few months to celebrate the seasons. 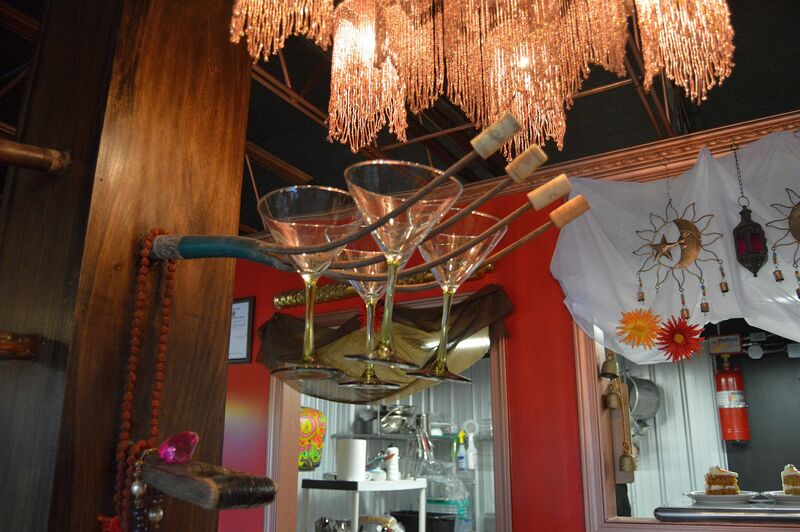 At Penny Lane Cafe, “fun” is part of the atmosphere. From the overall ambiance of the place, to the playful names for their food and products it’s hard not to smile here. 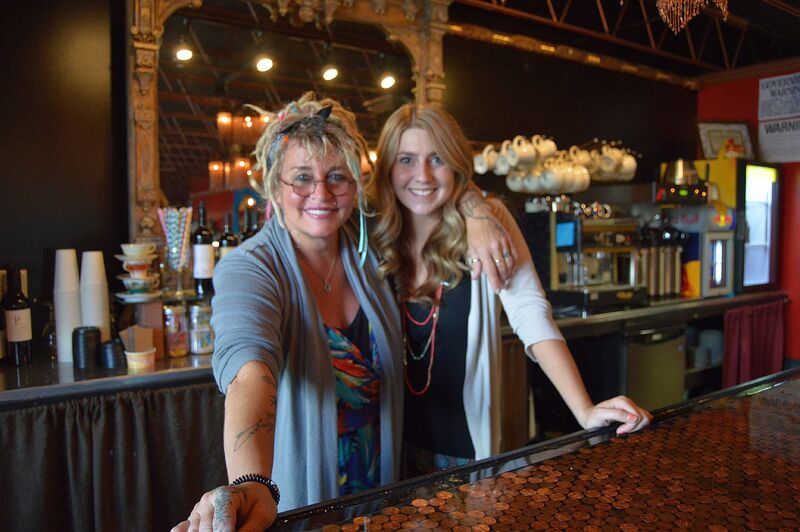 They cafe has been a wonderful addition to Main Street since their arrival last summer. Let your hair down and have a little fun this Saturday night!